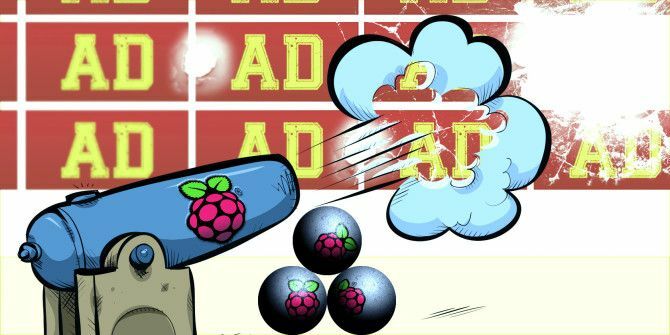 Turn a cheap Raspberry Pi into a network-wide ad blocker. If you’re tired of AdBlock Plus slowing your browser down, this DNS-based option is a great alternative that works on any device. Unlike other solutions, this filters the web before it gets to your device, meaning you can block ads on your iPad or Android without the need for jailbreaking or rooting. A company called AdTrap AdTrap Is A Little White Box That Blocks All Ads From The Internet For $139 AdTrap Is A Little White Box That Blocks All Ads From The Internet For $139 How much would you be willing to pay for an Internet without ads? Meet AdTrap, a new device that promises to block all online ads, whether on your computer or on your mobile. Read More sells a little white box that blocks ads AdTrap Is A Little White Box That Blocks All Ads From The Internet For $139 AdTrap Is A Little White Box That Blocks All Ads From The Internet For $139 How much would you be willing to pay for an Internet without ads? Meet AdTrap, a new device that promises to block all online ads, whether on your computer or on your mobile. 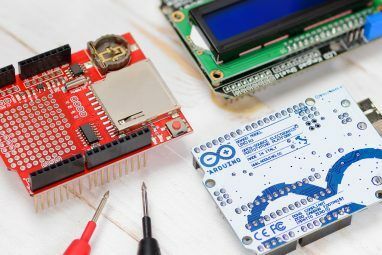 Read More for $129, but you shouldn’t buy it – a $35 Raspberry Pi and an SD card are all you need to make your own hardware ad blocker for every device on your network. Here’s why Pi-Hole is a better idea than browser extensions, and how to set it up. Install a fresh version of Raspbian on your Raspberry Pi. Set up your devices to use your Raspberry Pi’s IP address as their DNS server. Don’t know what any of this means, or why you’d want to use PiHole in the first place? Keep reading – I can explain. Why Not Just Use AdBlock? Or The Hosts File? It’s unintuitive, but AdBlock Plus and similar tools actually slow your browser down. These extensions use custom style sheets to strip ads, meaning that every site you look at is edited on the fly. This comes at a cost. “Adblock, noscript, ghostery, and other addons like them cause 90% of the issues we see in the forums,” said one Chrome developer on Reddit, adding that such extensions increase memory usage anywhere from 10 to 30 per cent, and page load times by between 15 and 50 per cent. This adds up quickly, which is why some power users use the hosts file What Is the Windows Host File? And 6 Surprising Ways to Use It What Is the Windows Host File? And 6 Surprising Ways to Use It The Windows Hosts file allows you to define which domain names (websites) are linked to which IP addresses. It takes precedence over your DNS servers, so your DNS servers may say facebook.com is linked to... Read More to block ads instead. This approach is better because it prevents known ad servers from ever being loaded on your computer, meaning your browser doesn’t have to strip ads out. 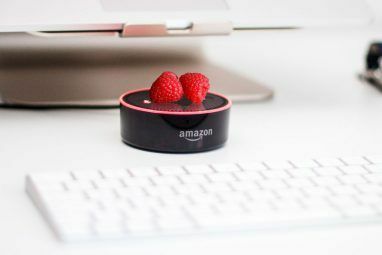 The downside: there are literally thousands of ad servers out there, and these lists need to be maintained and updated on all of your devices. And then there are mobile devices, on which you can’t easily edit the hosts file without rooting or jailbreaking. Pi-Hole runs on a dedicated Raspberry Pi, meaning you only need to set it up once. 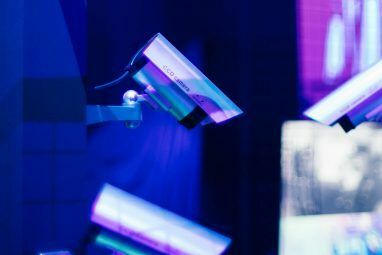 It’s easy to install, and can update itself using several of the best known lists of ad and malware servers on the web. Let’s set it up. Jacob Salmela, the man behind PiHole, recommends a clean install of Raspbian before setting up. If you’ve never installed an OS for the Pi before, don’t worry: the process is easy. Linux Users: Use the command prompt instructions offered by RaspberryPi.org. Use the appropriate tool to write Raspbian to your SD card, then insert your SD card into your Pi. Use an Ethernet cable to directly connect your Pi to your router, and then plug in your Pi’s power adapter. Raspbian will boot. This is a good time to open your router’s settings and assign the Raspberry Pi a static IP. How to do this will vary depending on your router, so check its documentation for more information (look for “static DHCP reservation”). Now it’s time to set up Pi-Hole itself. If you’ve got a monitor for your Raspberry Pi, you can use that to set everything up; otherwise, you’ll need to use SSH to connect (this is probably simpler). You’ll see instructions for changing this password after logging in for the first time, if you’re interested. “IP.address”, of course, is replaced with the static IP you assigned earlier. Update your Pi’s software to the latest version. Download lists of known adware servers from 7 different sites. Lean back and watch the process – it explains each step as it goes along. Once it’s done, we’re almost ready. Now that your PiHole is set up, there’s only one thing left to do: point your devices to it. We’ve shown you how to change your DNS settings How To Change Your DNS Servers & Improve Internet Security How To Change Your DNS Servers & Improve Internet Security Imagine this - you wake up one beautiful morning, pour yourself a cup of coffee, and then sit down at your computer to get started with your work for the day. Before you actually get... Read More , but here’s a quick rundown of the method for each major platform. Note that these settings are all specific to your local network, meaning if you sometimes switch between a wireless and wired connection you may need to set it up twice. Head to the Control Panel and find “Change Adapter Settings”. Right click whatever connection you’re currently using, then click “Properties”. Click “Internet Protocol Version 4”, then click “Properties” again. Now, click “Use The Following DNS Servers”. Give your Pi’s IP address as the primary (first) DNS server, and 8.8.8.8 (Google’s DNS service, in case something goes wrong) as the secondary server. Give your Pi’s IP address as the primary (top) DNS server, and 8.8.8.8 (Google’s DNS service, in case something goes wrong) as the backup. At the bottom of the screen you can set two DNS servers. Give your Pi’s IP address as DNS 1, and 8.8.8.8 (Google’s DNS service, in case something goes wrong) as DNS 2. Give your Pi’s IP address, followed by a comma, followed by 8.8.8.8 (Google’s DNS service, in case something goes wrong). (Linux users: there are just too many distros and desktop environments for me to cover you guys well, and I bet you all know how to change DNS settings anyway). In our testing, this setup doesn’t let a lot of text or image ads get through. Even major video sites like YouTube stop showing ads altogether once this is set up. That’s not to say no ads get through whatsoever: streaming music services like Pandora, Spotify and Rdio all kept playing ads in our tests. Jacob Salmela himself struggled when he attempted to block Hulu ads with this setup, so it seems like media ads are a different beast entirely. But work is ongoing. Still, the web is a very pleasant place with this set up, and browser performance is snappy when compared to AdBlock. Isn’t Ad Blocking Evil or Something? Blocking ads is something reasonable people can disagree on. My friend Mihir thinks publishers need to stop whining about AdBlock Publishers Need to Stop Whining About Adblock Publishers Need to Stop Whining About Adblock Ad-blocking seems like a natural option for any consumer because of a simple reason: it's an easy way to get rid of an annoyance. Read More ; another friend, Matt, thinks AdBlock needs to die to save journalism as we know it It's About Ethics in Stealing Games Journalism: Why AdBlock Needs to Die It's About Ethics in Stealing Games Journalism: Why AdBlock Needs to Die A simple, free browser plugin killed Joystiq – and is ruining the Internet. Read More . As a journalist the ethical implications of blocking ads obviously trouble me, but as a technologist I just think the technology behind Pi-Hole is fascinating. This article is more about the cool technology that makes blocking ads possible than the ethical implications of that, and I understand there’s a ton of hypocrisy there. But Pi-Hole is so cool, and I couldn’t help but share it with you. Seriously: read more about how PiHole works, and you’ll see why I think it’s brilliant – even if the ethics of blocking ads are murky at best. I hope, if nothing else, getting this working teaches you a bit about how DNS works. Explore more about: Ad-Blockers, DNS, Raspberry Pi. If you connect to a different network on the Pi, would the DNS server's address change? I can use a dd- wrt linksys wrt54g - but dont need to so i just have the laptop feeding an 8 port gigabit switch - i cannot for the life of this get this working - set the raspberry pi to 192.168.137.30 (static) - installed the software - not resolving my main pc on internet - pi itself HAS internet - when i reboot the Pi does the pihole run automatically or do i need to launch it from the command line ?? Has anyone set this up to work outside the local network? It could just be a matter of some port forwarding, but I'm not sure I'd recommend it. I have an old (rooted) android phone. Could I run PiHole on this, instead of a raspberry pi? I don't know how to do that personally, but in theory it could be possible. Is there a way to just set my router to resolve every request going through it via DNS in Raspberry PI so I don have to change configuration on every connected device? 1. Set the Pi to use Google DNS, or Open DNS, instead of just using the DNS server assigned to it. 2. Ensure that the Pi has a static IP on the local network. 3. Set the router to use that static IP as the primary DNS server. I see no reason why this shouldn't work, but I never actually got it working. I can confirm that this works as it's exactly how I set mine up. The DNS on the Pi set to Google DNS, my router's DNS is set to my Pi's static IP and all user devices on the network are set to DHCP. Just be sure to have a secondary DNS server listed on your router, else your DNS requests will have no where to go if the Pi goes down for whatever reason. I set my secondary DNS server to Google DNS. I had a Pi eating dust and wanted to do something with it, this works like a charm on my mobile device, but my girlfriends iPad is still showing ads, is there something I may have forgotten? Did you change the DNS settings on her iPad? If that doesn't work, try restarting the device maybe. Could this be configured with a port number to use on phone away from home to use ad-blocking features and DNS resolution? In theory yes, but I've no idea how well that would work. I suspect it would be pretty slow. considering buying this, but I have one question, If I get a bigger sd card will it utilize the bigger space for caching or no? I don't think a bigger SD card would benefit you for this setup, no. Set this up yesterday. Everything worked perfectly. 4 hours later my raspberry pi 2 failed. When I pressed to eject sdcard. It burnt my finger. Card melted and a little deformed on rear of SD card. Truly, it burnt my finger. Anyone else have this kind of problem? Perhaps the constant writing to the card did this. I've found some old posts about SD card overheating. But nothing in past 2 years. Not sure if I want to try another SD card. Seriously worried about going up in smoke and perhaps a fire. Has anyone tested this successfully with iPad/iPhone? I haven't tested this with an iDevice, sorry, but I see no reason why it wouldn't work. It works for me for all devices: iPads, droids, Macs, PCs. As long as you can change the DNS server on the device, it should work. Could someone please help with the settings I should use on my DD-WRT router to route DNS query to Raspberry PI. I managed to give static IP to the Raspberry PI and changed the DNS settings on the devices I use (Phone and laptop), but still no luck. Please ask if you need any more info to help me. If you gave a static IP address to the Pi and directed your devices to use it, it should be working. I'm not sure you need to do anything at the router level. Clearing the DNS cache on your devices might help. Got this working on a new PI 2, works great, router points to the PI Hole for DNS and all devices on my network get the correct DHCP and DNS settings and all are now without ads! Awesome! Did you have to change the Pi's DNS so it's not stuck in a loop? I posed that question above, but there hasn't been a confirmed answer to it yet. I'm loving the pi-hole method. It's even taking the ads out of free Android games. I've never found an ad - blocker that would do that! Just put a whitelist.txt or blacklist.txt in /etc/pihole/ before running the script. One domain per line. I didn't know this! I'll respond to the commentor above again. I have a AdTrap (getadtrap.com) device and/are a person who comments on the user based forums for the AdTrap. I want to do this with the Pi. *Does it use something like the EasyBlock list (or download it or any of the readily available free lists of ad servers)? *What is the "power" of the Pi? Can it handle multiple devices hitting the router either wired or wireless and block the ad networks? *I put up on the forum the MOBILE ad networks, from around the globe. Those that put ads inside of "free" apps on iOS or Android. Those are REAL annoying. Since the apps don't have to use PORT 80 like a web browser to connect, will this be able to stop those ad networks? I got my AdTrap and it is 85% useful but does NOT stop anything over HTTPS (like https://www.yahoo.com), so on my iMac (I got 3 iMac's, 2 Mac Minis, 2 iPads, Apple TV, Vizio w/wifi, android tablets and phones and stuff) I use FireFox with flash block extensions, Ad Block Plus, and Ghostery ..........will this help in blocking https ads? 1. This method downloads four of the best-known such lists on the web, then removes the duplicates. 2. I haven't had trouble with multiple devices, but my testing is admittedly limited. 3. If the ad networks are on the block list, there's no reason any of their ads can get through. 4. HTTPS: this method blocks ad servers entirely, so there's no reason anything should slip through regardless of encryption. Having said that, I've noticed some things to get through. A simple partial solution to all the arguing over the ethics and economics of ad blocking is to white-list the specific sites that you want to help financially. This is very easy to do with Ad-Blocker. Is there a way to white list specific sites using Pi-hole? Looking over at his site, the authors of PiHole says he's working on a whitelist function but so far as I can tell it's not done yet. Hey Simon Bif has a solution for you below, check it out. There are no negative moral or ethical matters concerning blocking ads you don't want to see. It is a choice. It is comparable to changing the radio station when the ads come on. If you aren't interested, you shouldn't have to see or hear it. Want us to pay attention? Attract our attention, and attempt to keep it. Morally shaming those who make a choice to do away with unnecessary information being fed to them is the real shameful act. This is less like changing the station when the ads come on and more like designing a radio that will mute the volume during ads. It's a subtle distinction, sure, but it does matter I think. The fact is that if everyone blocked ads – and we're getting closer to that situation ever day – most of the content that's currently free on the web would either stop existing or stop being free. We all benefit from ads, whether we block them or not. I hear what you're saying, but I think things are a little more complex than you let on. Has it ever been objectively proven that advertising actually brings in more money then it costs? Does seeing an for a product make people want to get that product? Or is it a case of manufacturers convincing themselves that if they don't advertise, they will miss sales? I know that advertising is an American institution and tradition (Madison Ave and all that), and would be blasphemous, if not treasonous to suggest that it be totally stopped. But I wonder whether the resulting drop in sales (if any) would not be more than made up by not having to spend $billions on advertising. Has anyone tried running a Pi rom in a VM environment? The Pi's run a Linux based O/S right? Anyone know of a similar way to do this on a VM? I have a server running several VM's right now, and i don't have a Pi, if I could just add another VM for this that would be great. This is a really interesting question. There's no reason this setup couldn't run on any other Linux distro, but the script as it exists right now assumes you're running Raspian. You could take a look at the script and modify it, maybe? Is there a way to set it up so your router's DNS points to the Pi? That way you wouldn't have to change the DNS on each device. I've read comments from people who say they achieved this, but every time I tried it the result was the Internet not working on any of my devices. Results might vary depending on your router. I would be very interested in learning how others have accomplished this. Initially I thought it would be as simple as changing the router's DNS to point to the Pi, but then the Pi (being connected to the router) would most likely point it's DNS right back to the router and be stuck in a loop. I suppose one could point the Pi's DNS to the ISP's DNS or even just Google's or someplace else. I can't imagine this would actually work differently for different routers, but for argument's sake, I'm running DD-WRT on a Netgear WNDR4000. I'd love to hear results from other people. I'll try to do some testing myself as well if I get time and post what I find. Yeah, the more I think about this the more I doubt those commenters who claim they got it to work, but if someone here got it working I'd love to know about it. I’ve tried the hosts file method before. There are a couple of Google servers that are blocked that also make it impossible to load some Google-cached pages. Then it is a hassle to edit the hosts file to unblock these servers every time it is updated. I currently use µBlock. But I’m thinking that my router which runs DD-WRT could do something similar to what is done on the Pi. I think you could do something similar with DD-WRT, yes, let us know if you get it working. Short of changing your DNS server is there a way to momentarily disable/enable the function? Something perhaps that you can run on the Pi with SSH. Not that I know of, though I suppose you could just turn the DNS server off. Thanks, Justin. For the naive, how would one do that? Thanks. Justin. DNS Jumper is simply too cool not to have. The amount of useful info at makeuseof never ceases to amaze me. You guys just reminded me to update my HOSTS file lol Thanks! Another suggestion (that I employ on my network) is OpenDNS. It can get tedious at times, but it works wonders and provides many other services (like individual domain blocking and, of course, DNS-caching). So far readers seem to be reminded to do everything but set up a Pi-Hole! I hope someone gives it a shot eventually, I'm really enjoying mine. As for OpenDNS: this is a great idea. I need to review this, is there a way to automatically updated it like there is with Pi-Hole? lol...I don't have a Rasberry Pi, but it still intrigues me seeing the amazing things people do with it. No, sir...that is definitely a drawback that makes it "tedious." Perhaps OpenDNS updates their categorical servers regularly (as a matter of fact, I am sure they do), but no where near as extensive as what you're doing with Pi...or even folks are doing with HOSTS. Every now and then I'll take a night, get the latest list, and manually add in the servers to block...but that's only when I'm extremely bored. You should totally get a Pi! They're like twenty bucks, it's not a huge investment. And there are so many fun things you can do! Perhaps I will. I didn't realize the barrier to entry was so low. Hmmm. How will this effect me if I switch locations each day? If I set my MacBook to the pi's DNS servers and go to school or work, will I have to manually adjust them? Your DNS settings are unique to the network you're using, so you won't have to reconfigure your settings when you leave your home. The ad blocking will stop working, however – it's tied to your network. Is it working on Pi 2? I can't think of any reason why it wouldn't work on a Pi 2! Seems like a bit of a waste, though. So you're saying the blocking add-ons slow down your browser; the add-on makers claim it speeds up your browser. Who's right? Maybe try a browser benchmark with it enabled and disabled? I'd guess there's very little slowdown from ABP if all it's doing is loading a custom stylesheet - CSS is just a tiny bit of text so the file is probably not even a kilobyte. The problem with the custom style sheets is that modern web pages have iframes within iframes within iframes, and all of those end up with their own custom style sheets. But you're right: we should do testing on this. I hope we can get an article looking into these claims out soon, because I was basing this entirely on my own subjective experience. Having said that: man, does Pi-Hole ever feel faster than adblock.